From omelets to enchiladas, give any of your favorite dishes a delicious (and colorful!) 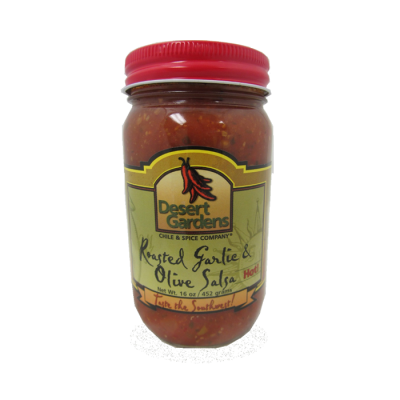 Southwestern flair with our genuine New Mexico Style Chile Sauces…a special blend of authentic New Mexico grown and roasted green or red chiles, tomatoes, onions and special seasonings! As a sauce or a side, Red or Green (or both! 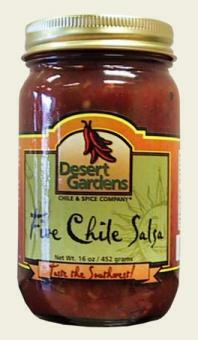 ), our ready-to-serve chile sauces are sure to bring the unique flavor of the Southwest to your table! Packaged in a convenient plastic “jug” container, 32 oz. 32 oz plastic jug. Store unopened jar in a cool, dry place. Shake well, open & serve! Refrigerate after opening. 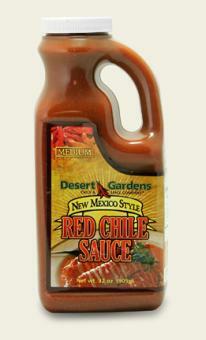 Red Chile from Pods, Water, Tomato, Salt, Garlic, Citric Acid, Spices, and Xanthan Gum.